Disclaimer: I did not receive any compensation for this post. There are links to products below that I recommend from companies I have a referral relationship with. If you purchase an item after clicking on one of these links, I will be compensated. Despite her fears, she befriends the castle’s enchanted staff and learns to look beyond the Beast’s hideous exterior and realize the kind heart and soul of the true Prince within. I am really looking forward to seeing this live action musical on the big screen – and there is a special reason why. When my daughters were 3 and 4 Beauty and the Beast came out on VHS for the first time. I immediately bought the VCR tape and the three of us watched it until we knew every word. Over the years Disney has released some special edition DVD’s – and of course, I bought them. My daughters are in their 20’s now, but Beauty and the Beast remains my favorite movie. The memories I have of watching it with them remain – and make the movie that much more meaningful. 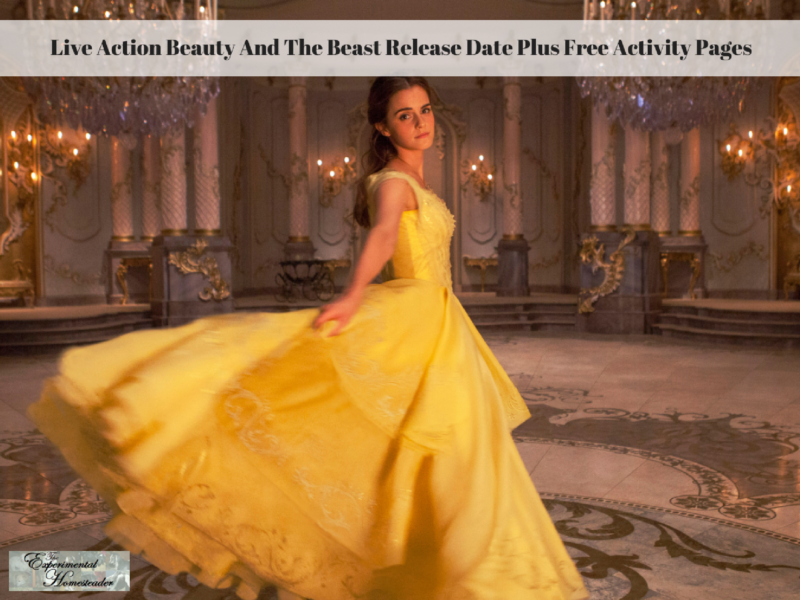 If you have children – or grandchildren – or simply want to see a tale as old as time, I encourage you to find out when this movie is showing in your area.